Holiday parties are in full swing, and if you should find yourself in a rut trying to figure out which wines to drink you’re not alone. It can be an intimidating topic for many. My advice is don’t think too deeply about it. Pairing wine with holiday foods is no different than any style of food year-round. It comes down to two things — balance and synergy. Thanksgiving is a bit different. This is because there are so many competing flavors and textures at the same time (turkey, stuffing, cranberries, roasted vegetables, etc. ), it’s not about finding one wine to pair with everything but a few that will be flexible enough to work with everything. But with traditional holiday dishes I see the main dish as the star, whether it be a prime rib, ham, goose, Italian fest, surf and turf, or whatever your annual holiday meal may be. The dish stands alone and, yes, there are several wines that work for whatever dish you chose to celebrate with. I talk about this topic at length with Debbie Gioquindo of Hudson Valley Wine Goddess on her recent podcast. She interviewed me about pairing wine with traditional holiday foods, and also sparkling wine for New Years. Listen to it HERE. Below you’ll find a sneak preview of some of the many topics we discussed along with a few wine recommendations. To me holiday foods translate to big flavors. And big flavors beg for big wines. And by “big” I don’t mean in weight (though this is true for some dishes), but more lively in aromas, structure, and sometimes body. 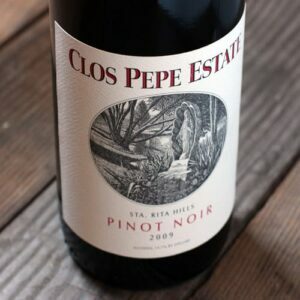 Pinot Noir is one of my favorite all around food wines, and not just because I live in Oregon. In fact, of all the Pinots I recommend below not one is from Oregon. In general, Pinots cranberry, cherry, spicy and earthy qualities make them incredibly versatile and pair well with many foods. Their flavors are reminiscent of the holidays and are perfect for this festive season. Can be salty, sweet, and sometimes smoky. Avoid big reds as the tannins will become even more astringent and unpleasant. This wine has a lovely combination of both earthy and fruity aromas (dark cherry, cranberry, and dusty strawberries). This balance continues in the taste with a mix of fruity, juicy, and savory notes with a lingering savory finish. I really enjoyed the delicacy of this wine coming from a stereotypically “big” area for wine. The juicy, savory, and fruit characteristics will be a good match for a salty ham. 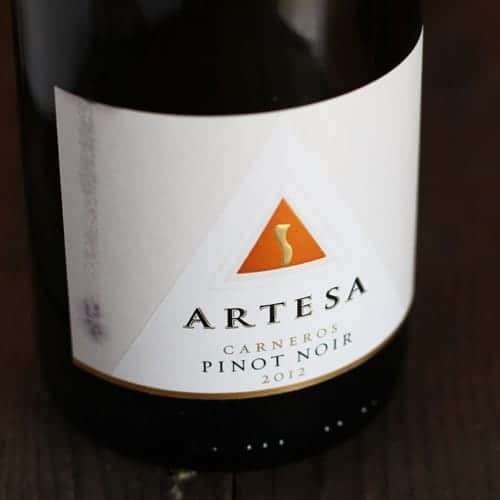 Similar to the Pinot above, this one shows nice red berry fruit balanced with earthy yin and yang. It begins a bit funky (so for those Pinophiles who like their Pinots a bit funky, this is for you), but has some pretty cranberry and cherry fruit flavors in the mouth with some sweet spice with a mild vanilla finish. Fruity, funky, savory, and juicy enough for the ham. The rich, savory, gamey, and fatty flavors of the roasted duck make them perfect for a juicy wine with some earth and spice. 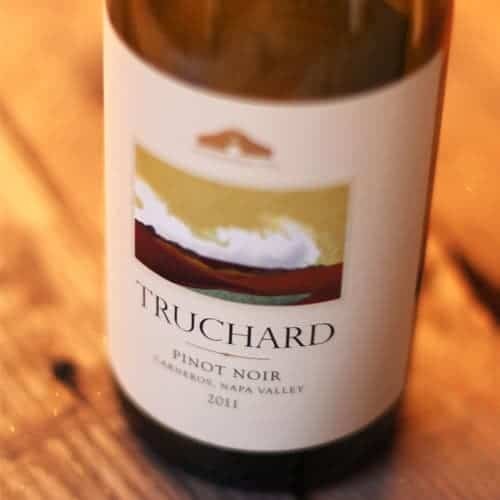 New World Pinot Noir for their fruity, gamey, earthy, and acidic qualities is a great match. Red Burgundy for similar reasons, but offering even more earthy notes. Rhone Valley reds pair exceptionally well with savory flavors. For something bigger look for Tempranillo. This is quite a lovely Pinot that starts with some intense cranberry, raspberry, and rose pedal notes. As it opens a while some aromatic baking spices come through (clove, anise) along with some earthy sage and spicy oak. All the aromas and flavors of this wine are reminiscent of Christmas to me and make it an excellent choice to serve for an elegant holiday dinner. The intensity is perfect for a roasted duck, but the structure of the wine is bold enough for pork or other hearty pieces of meat as well. This marbled and roasted juicy meat is begging for something bold and tannic and full of punch. This year my husband is planning to smoke a prime rib for Christmas day. Can’t wait! Malbec from Argentina has a reputation for being a great value wine, which it certainly can be. But few people mention some of the gorgeous high-end wines that can be produced from the grape. 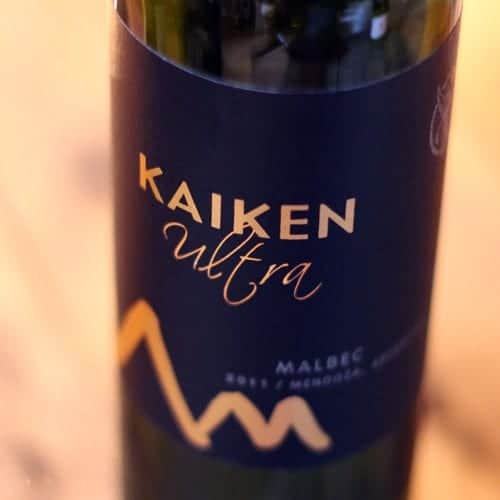 This particular Malbec is a serious wine and a unique gem. Sourced from 80-year old vines, the wine is aged for 18-months in new French oak barrels adding to the wines powerful aromas. The first thing I wrote in my notes was “smells like a quality Napa Cabernet”, and it does. Rich, with spice, oak, dark concentrated fruit, this wine is a powerhouse of flavor, body, and structure with solid tannins. I’ve never had a Malbec like this before, and they are few and far between, but definitely one worth splurging on if you’re interested to see how complex Malbec can be. Make sure to decant this one for at least an hour. This will most certainly hold up to big flavors, like roast or stewed meats. 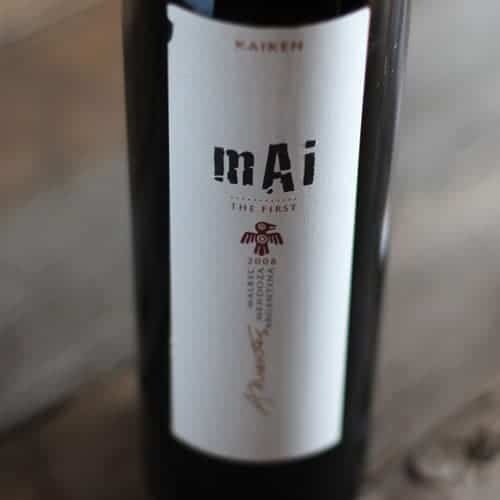 If you’re not feeling up for the splurge, try this one for a fraction of the cost of the Mai. From the same producer, this one is much less of an investment, but still a nice treat. Rich dark dusty chocolate aromas on the nose mix with savory black berries and sweet toasty oak lead you to a rich and full flavored wine. This wine had a great balance of dark fruit and toasty oak and went remarkably well with the brisket dinner I tried it with (and not just the meat, but also paired well with the sweet and spicy baked beans and cornbread I had alongside it). It has enough fruit, spice, and structure to stand up to big flavors and would be a nice match for big holiday dinners. This is a topic we go at length about in the podcast, as it is Debbie’s family’s traditional meal where they serve 6-8 different types of fish for the occasion. I recommend showcasing a variety of wines here to pair with the multitude of fish that may be offered on a traditional fish dinner. Try a sparkling wine, Sauvignon Blanc, Chardonnay, and a Pinot Noir and let your guests try several different wines with the dishes to see which is their favorite. 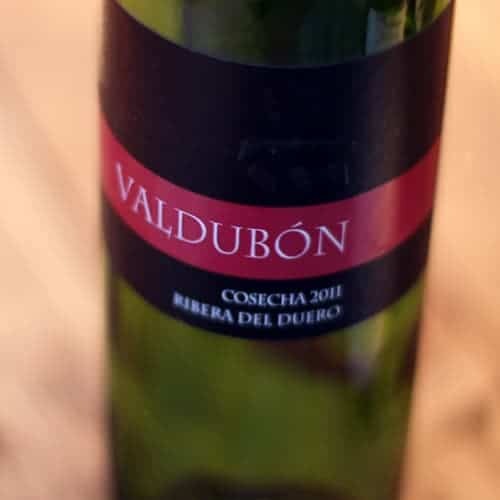 Ribera del Duero is one of my favorite regions in the world for quality Tempranillo (both on the very high end, and also for incredible values). This wine is a nice value displaying dark rich berry fruit and pretty violet aromas with a touch of dusty chocolate. The body is nicely structured with more bold (but not overpowering) fruit and velvety tannins with a dry finish. Though it finishes pretty dry, it maintains its deep and fruity characteristics throughout. This is a versatile wine that is a nice one to have around for the season for roasts and other meat dishes. Check out the podcast and you’ll find several other tips for pairing holiday foods and wine. Next week I’ll share what we discuss on the second part of the podcast, where we talk about all things sparkling wine and New Years Eve along with my sparkling recommendations. Now tell me, what is your traditional holiday meal? And what is your favorite wine to pair with it?